Key difference: Any person who cooks food is essentially a cook. However, a chef is a cook who has completed a professional course and/or an apprenticeship. 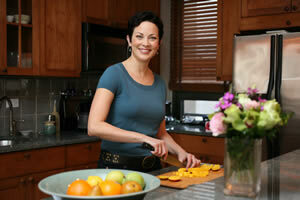 A cook prepares food and a chef prepares food, so what is the difference between the two? Cooking entails the preparation of food for eating or consumption. Any person who cooks food is essentially a cook. However, a chef is on a completely different level. A chef is a professional cook; someone who cooks for a living. 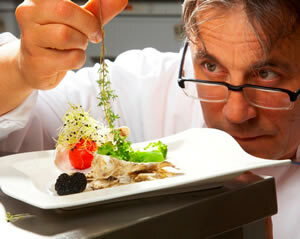 A chef is a cook who has completed a professional course and/or an apprenticeship. This of course costs money and includes many hours’ work such as working nights, split shifts, double shifts and weekends. It is stressful and tiring. Whereas, a cook is basically any person who cooks food, this can be a person who cooks food for their family and friends, or someone who cooks as part of his/her job at a restaurant. However, if that person, i.e. a cook has not completed a professional course, then they cannot call themselves a chef. Depending on the chefs’ level of education, the chef may be responsible for managing kitchen staff, directing the preparation of meals, estimating food requirements and ordering food and other supplies. Whereas, a cook is generally responsible for managing his/her own personal kitchen or for completing their defined set of tasks. Essentially, a chef is the person who heads or works at a high-end restaurant, and has completed their professional education. Whereas, a cook may be famous or work at a high-end restaurant, however, if they do not have a professional degree, they are not a chef. Someone who cooks and may or may not be working in a professional setting. Basic sanitation and workplace safety courses, followed by instruction on food handling, preparation and cooking protocols.